Georgia can be divided in Eastern and Western parts that differ from each other in terms of climate, traditions, cuisine, landscape and even population’s manners. If West is comparatively green and plain with lots of fast-flowing rivers and lowlands then East is drier and hotter. You can easily guess on any photo which part of the country is captured – the greener the place the more Western part it is and on the contrary. One of the most beautiful and pleasant regions of Georgia that is always in blossom, with mild winters and abundant harvests is Imereti. Imeretian khachapuri, mchadi (corn pons), different kinds of boiled lobio (red beans), Imeretian cheese, outstanding tkhemali (special Georgian plum sauce), juicy fruit and organic vegetables – yes, Imereti is the motherland of delicious food and extraordinary natural beauty. Apart from being exotic and stunning Imereti is rich both culturally and spiritually. 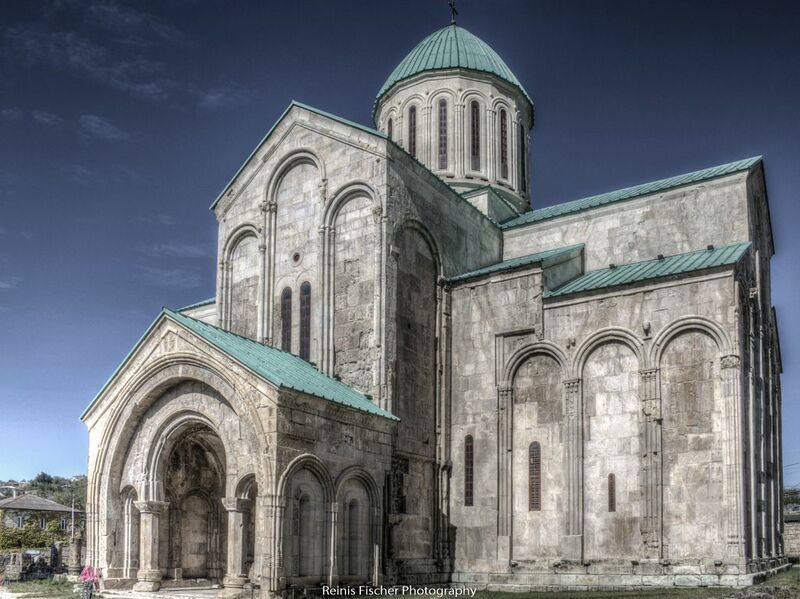 The capital of western Georgia is Kutaisi that used to be the main city of the whole country in ancient times. When arranging your trip to Imereti it is advisable to book rooms in Kutaisi as long as the city provides bigger portion of choices compared to the smaller ones. Many tourists consider Kutaisi and its neighborhood the only places full of remarkable landmarks but it is important to stay vigilant – not all the wonders and places worth seeing are situated in the vicinity of Kutaisi. One of the most interesting places is situated in the small industrial city of Chiatura. It is famous for its Soviet cable cars and manganese ores. The ores are situated all over the town and you can watch workers mining manganese above the city. The most exciting part is not the process of mining itself but the way you get to the place. You need to climb to the elevated area with the help of old Soviet-type cable cars. They are everywhere in Chiatura! Despite the fact that they were constructed about 60 years ago people use them as means of transport. Back in Soviet days cable cars were used to get manganese from the hills to the city center as the spacing between the ores and factories was too long. Nowadays the town of Chiatura maintains the tradition of using cable cars and it really is worth visiting the place despite the fact that the city has no entertainments and mainly is not suited for tourists. Not far from Chiatura you can visit Mgvimevi Monastery that literally arises from the rock. It resembles the well-known cave complex Vardzia, but it is greener and much smaller. The history of the Monastery is not well-known though you can talk to kind nuns who will share all the information they hold about Mgvimevi Monastery. 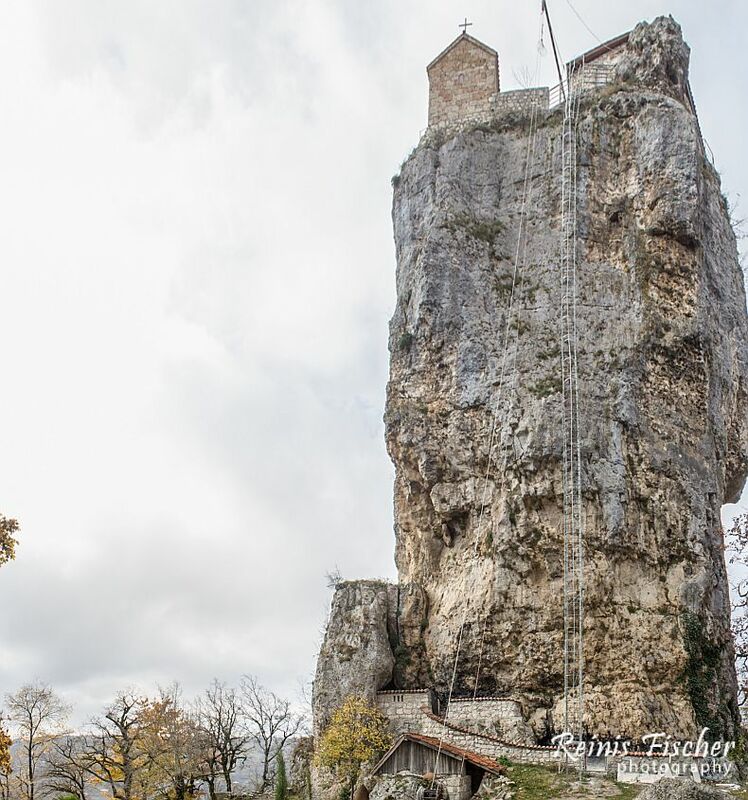 The next destination is 40-meter-long Kackhi Pillar with the renovated monastery at its top. It looks fantastically and even enchanting at any time of the year. The word ‘kackhi’ itself means ‘the top’ in Svanetian language. According to the legend the god of fertility and richness lived on that pillar before Christianity. Even in the 6th century A.D. lots of people visited the place and worshiped as they believed the monastery was the closest spot to the Heavens. The place gained popularity in the 90s after monk Maxim decided to lead an ascetic way of live in the monastery. Nowadays you can reach the monastery with the help of spiral staircase known as ‘the Heavenly Way’. The little inconvenience is that only men are allowed to climb the ladders and enter the monastery, women can just take photos from the pillar’s foot and go inside another small church. Dog-lovers are extremely lucky as they are welcome to visit Caucasian Shepherd Shelter situated near Tbilisi-Batumi autobahn, 40 kilometers away from Kutaisi. The entrance is free of charge and guides will tell you lots of peculiarities of the shepherds then show you little pups and let you have a walk with dogs. Not all people can resist the feeling to cuddle with the dogs but still be careful. Many people come to this famous shelter to buy dogs though it is difficult for tourists to make any purchases. Still, positive emotions and happiness will accompany you till the end of your trip after visiting the Dog Shelter. Imereti, unlike other parts of Georgia is famous for highland plains known as Askhi Plateau. You can count this place as Alpine meadows. Climate is specific as weathers are very changeable and unpredictable. The Plateau has the shape of the tear and located between two high chains of mountains. The place is ideal for camping and indeed has beautiful views. You can reach the place by car as well. The easiest route to get there is from Khoni settlement. The loveliest places in Imereti are known as Kinchkha Waterfalls and Okatse Canyon. You can watch beautiful waterfalls and the Okatse River flowing in the Canyon. During summer season tourists do dome tracks in the direction of Kinchkha Waterfalls and have picnics there. The most daring ones even step in the cold water for a swim. The entrance has a modern Tourist Center where you need to buy tickets (7 GEL). The road is about 2, 2 km long. Before you get to the entrance of the Canyon you can contemplate the beauty of the small forest and different boscages. Kolkhidian Forest is situated in Sataplia Complex. This object is an exceptional engulfed with boulders place surrounded by high prehistoric rhododendrons. You can find big and realistic models of dinosaurs that roar and shake whenever you approach them. Dinosaur Pavilion will become your beloved place as you walk among the sculptures and can even look at the old footprint of the real dinosaur! 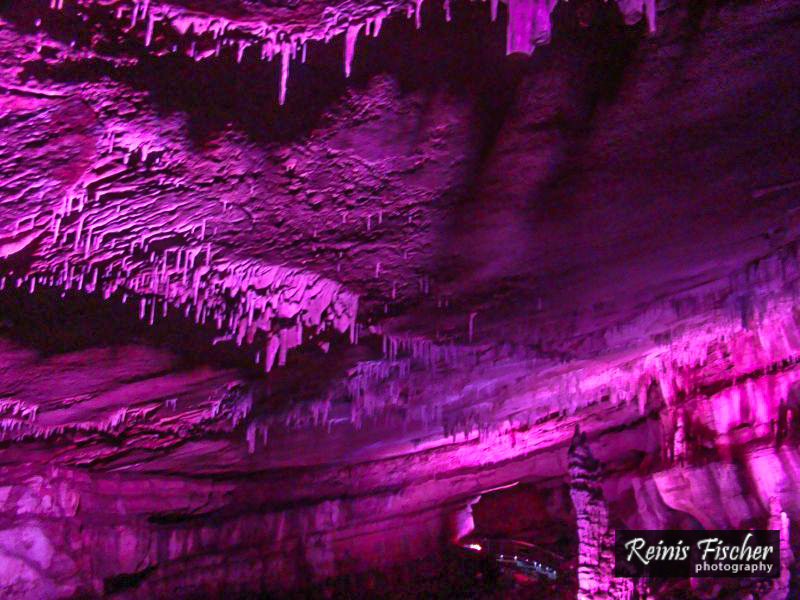 The atmosphere of the place is friendly but stays mysterious till the end of the excursion! It goes without saying that Imereti is a nice place to visit that will stay forever in your heart. Mild climate and kind people will create all the conditions for your unforgettable trip to the green meadows and beautiful mountains. Spring is coming. 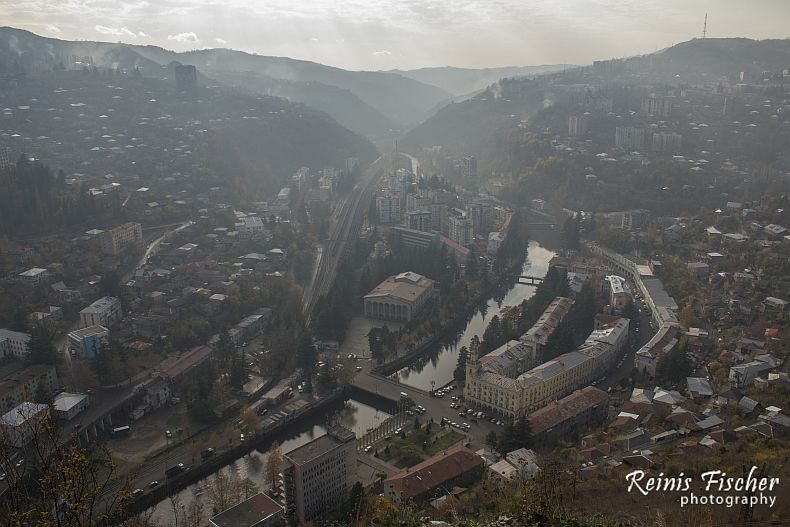 Few shots from Tbilisi, near Dinamo stadium there is interesting park located.